School holiday intensive art classes available! Book your budding creative in for school holiday intensive art classes. 2 hrs of creative fun for $50 in a supportive home studio environment. Dates and times negotiable, all materials included. ​Catering for children aged 5 to 12 years old of all abilities and skill levels. Personalised, individual art classes for children and youth. Artist and qualified teacher Jessica Harris is now offering private art lessons in her home studio in Mount Evelyn. 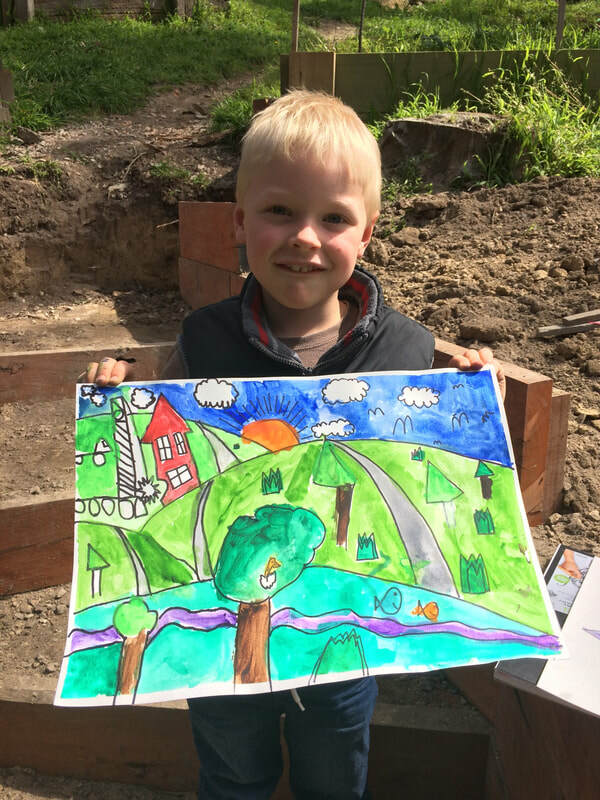 Cost is $25 per hour ($48 for funded students) for individual classes, inclusive of all materials with your child taking home a masterpiece of their own creation at the end. If there is a skill or technique your child would like to learn, classes can be tailored to individual needs, skills and special requirements. ​Children with special needs will be accommodated at all times to participate in classes. For children with physical disabilities that cannot access the studio due to stairs, home visits can be organised.